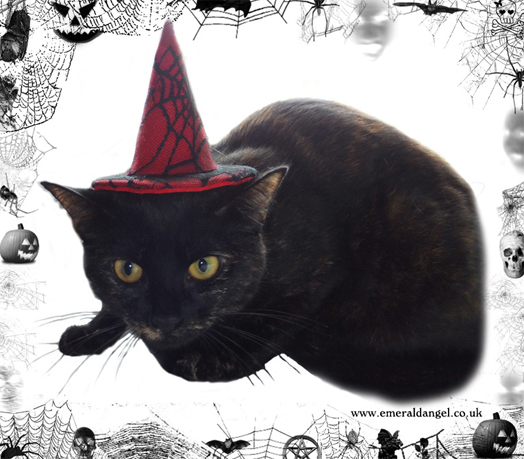 Spider Web Lace Cat Pet Witches Hat. 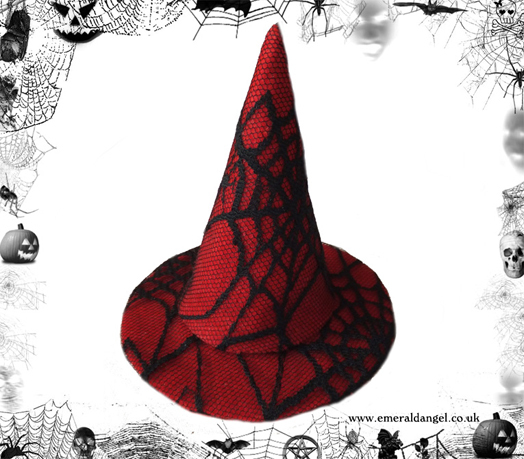 Made from felt and covered in spider web lace. 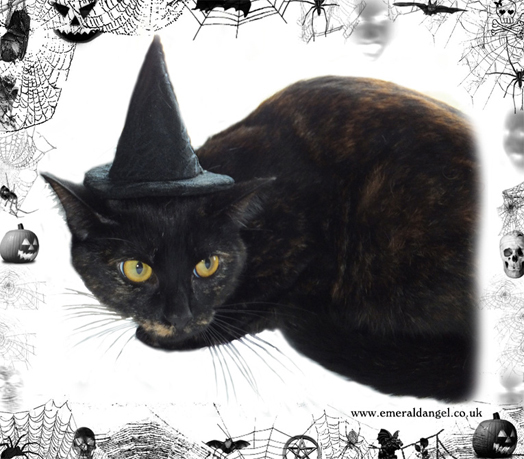 Elastic for under chin - please let us know if you are purchasing for a pet bigger than a cat so we can make the elastic bigger. Delivery - This item is made to order, normally despatched within 6 working days, but during very busy periods can take up to 10 days to be despatched. Please feel free to email us to find out what our delivery schedule is at the moment.